First Wings Tours & Travels is a global travel specialist with particular experience of helping students , teachers and professionals of all age , who travel the world. They offer a unique range of flights, accommodation, tours and expeditions in different countries. First Wings Tours & Travels was established in 2012 as a premier travel business house in Nepal approved by government of Nepal and authorized by NATTA. First Wings Travel was founded by a young man in Nepal with a vision to help students, teachers and professionals across the world with their travel needs. 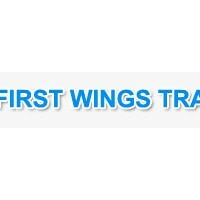 In January 2012, Mr. Aakash Nepali, with an experience of 5-6 years on the field of travel and trekking, assumed full ownership of First Wings Travel. The First wings Travel stores opened in the central lakeside, Pokhara Nepal staffed by knowledgeable travel experts who can offer advice and help travelers plan the best trip for their needs and budget. Their services include all kinds of travel Management & package tours, trekking & mountaineering, river rafting, city tours, jungle safari, international & domestic flight ticketing, hotel booking and a host of other services ranging from a simple airport pickup to organizing an expedition to the Mt. Everest with a unique range of products with exclusive discounts on airfares, accommodation, tours and rail passes. They specialize in trekking across Nepal managed by a group of dedicated, experienced and licensed people in the adventure travel service business but also are committed to conserving our natural and cultural diversity. Our tours, treks and river raft trips are well equipped, offer optimum safety standards possible, and provide high quality treks and guides who have first and knowledge of the routes, natural history and cultural background and will be environment friendly. First Wings Travel believes that all the people will be significantly impacted by their travel experience. Travel is a rite of passage for young people and a never-ending quest for understanding for seekers of all ages. They also believe there is no better way to break down cultural barriers, foster respect for diversity, remove fear and learn about life than through travel.